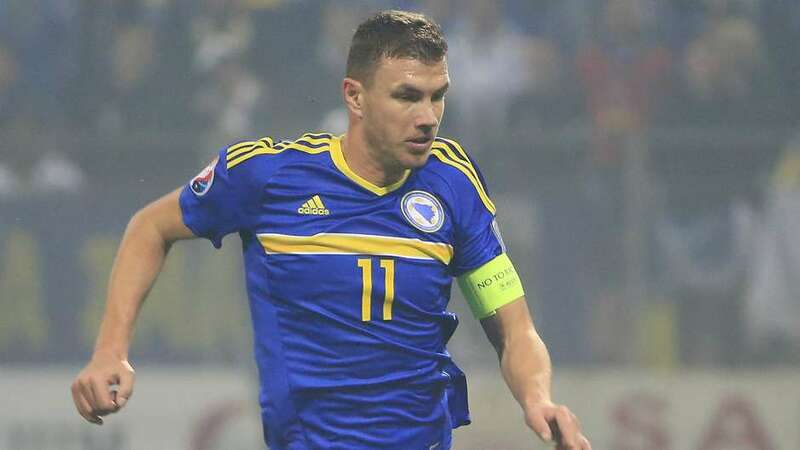 The ‘Bosanski dijamant’ or the ‘Bosnian Diamond’ for those who reside outside of Sarajevo, Bosnia where serial goalscorer Edin Džeko was born in 1986. From the capital of his home nation to the capital of Italy, the underrated striker is scoring goals and still enjoying his football in Serie A. He’s proven himself time after time for both club and country, yet is somehow still overlooked in every debate concerning the top forwards in world football, which only poses one question; why? The formidable frontman’s story is different than most. He grew up in the west of a city suffering the worst conflict it had ever known, where the ‘Siege of Sarajevo’ claimed thousands of lives, but fortunately many managed to survive. A young Edin Džeko was one of those survivors. Those in Bosnia will never forget the four years of constant blasts and attacks from Serbian nationalists forces, with the bullet holes around Stadion Grbavica serving as a painful reminder of the horrendous events that took place, the stadium where Džeko’s footballing story began. He turned out for FK Željezničar as a midfielder in 2005, but at 6’4″, it quickly became evident that his towering presence was destined for life further up the field. A few years of Czech league football followed, but things soon changed dramatically, and Wolfsburg’s gamble of bringing Džeko to the Bundesliga was one that paid off massively. His arrival brought one thing and one thing only; goals. 66 goals in 111 games, in fact, no mean feat, particularly in German football, for a man unknown to many. A successful first season saw a young striker burst onto the scene with eight goals and seven assists in just 17 games started, guiding his side to a fifth-place finish in the league. However, nobody could have guessed what would happen the following year. 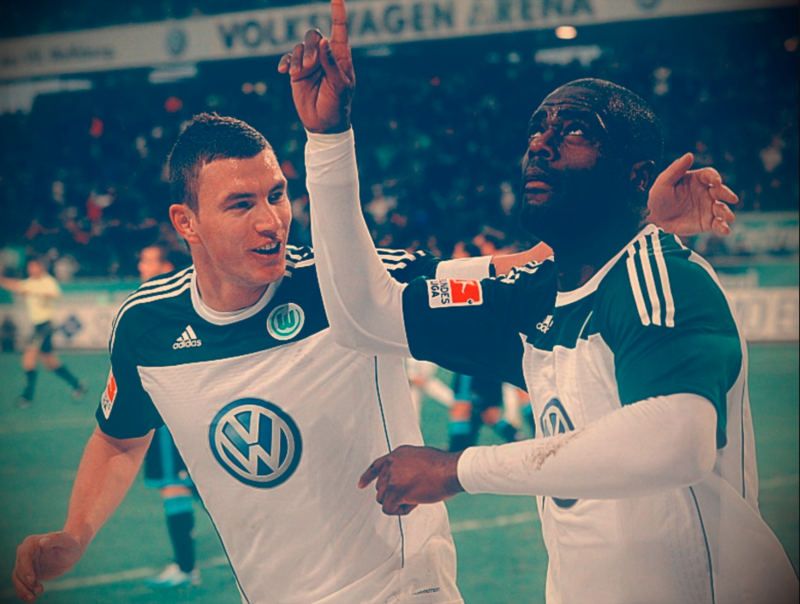 In 2008/09, Džeko and his 6’2 partner up top formed the most successful Bundesliga striking duo that the competition had ever and has ever seen since, with the Bosnian banging in 26 goals to drive Wolfsburg to an impossible first league title in the club’s entire history. 2009/10 and yet more success, with the man from Sarajevo notching 22 goals to claim the Bundesliga top goalscorer award. Unsurprisingly, the following season proved to be his last for the club. 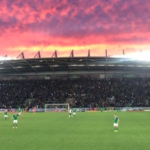 It was the riches of Manchester City that came calling, dragging the forward away from the Volkswagen Arena and placing him in the thick of the action in a high intense Premier League environment . His final contribution to Wolfsburg would be the ten goals he scored in 17 games in the first half of the campaign for Wolfsburg. City splashed out £27m in January 2011 for their man, second only to the £32.5m spent on Robinho just three years earlier, a record now long, long surpassed in the blue half of the city. The seasons passed and the goals went in, and the prolific forward left the Etihad as City’s fifth highest Premier League goalscorer behind a talented foursome of Sergio Aguero, Yaya Toure, Carlos Tevez and David Silva, having found the net 50 times across five seasons. 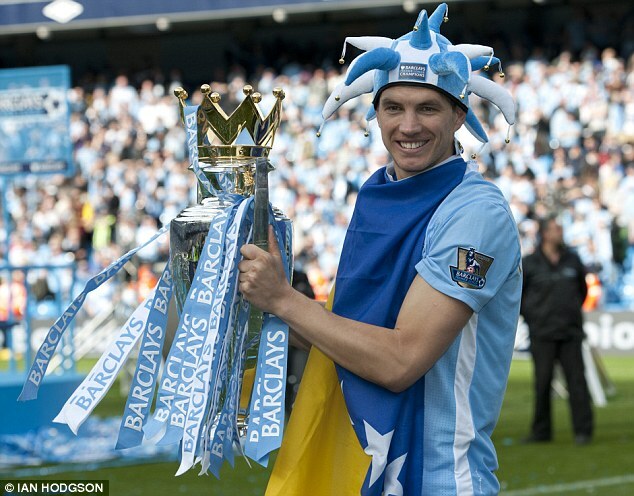 With a rapid turnaround of talented players, it’s no wonder Džeko’s time in Manchester gets overlooked so easily, but his 92nd-minute equaliser against QPR will go down in history on a day where City went on to win their first league title in 44 years. He was then off to Roma. The Italians got their man for a bargain (£10 mil). A goal in only his second appearance for the club set the tone for the years to come. 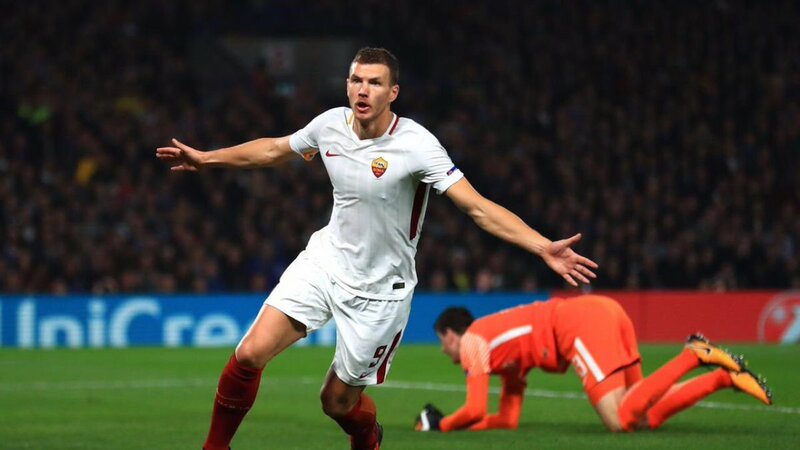 From that moment on, it’s been goals galore for Džeko at I Giallorossi, who must be hugely grateful for what their main man has done for them in recent seasons. Much like his time in Germany, however, one particular season shines brightest. An incredible 2016/17 for the forward pushed the dominant Juventus all the way at the top of the table, but Roma eventually fell short as The Old Lady claimed the league title by just four points. Yet more heartbreak befell the entire city when club legend Francesco Totti finally hung up his boots, but as one hero was announcing his retirement, a new hero was well and truly on his way to the hearts of the passionate fans that fill the Stadio Olimpico. In a league full of underrated strikers and hugely successful clubs, perhaps Džeko is finally at home. The games are coming thick and fast for Roma following the winter break, with Atalanta in the league, Fiorentina in the cup and Porto in the Champions League all of huge significance in the coming weeks. The fixtures present the forward with yet another challenge to stamp his authority on the starting 11, with the youth of Patrick Kluivert, Cengiz Under and Patrik Schick all vying for that crucial role up top. The club’s number nine, however, stands out from that crowd of youngsters due to his vast experience of playing at the top level for years now, therefore representing the perfect role model for those coming through the ranks. With natural strength, bravery, aerial presence and finishing ability with either foot, Džeko is the quintessential target-man. He possesses natural strength, bravery, aerial presence and a can finish well with either foot. He’s achieved remarkable feats for his clubs and the national side. The records have tumbled throughout his career, particularly at Wolfsburg where he remains their all-time top league goalscorer with 59 goals in 96 games. In his remarkable 08/09 season, he received the Bundesliga Players’ Footballer of the Year award and was even one of 30 Balon d’Or nominees. In England, he picked up two league titles, an FA Cup, a League Cup and a Community Shield, while at current club Roma he recently became the first player to score 50 goals in three of Europe’s top five leagues. The phenomenal 16/17 campaign with Roma – where Džeko hit 29 league goals and 30 in all competitions – unsurprisingly claimed a few more records, as he became the first Bosnian ever and the first Roma player in a decade to clinch the Capocannoniere award for being the top scorer in Serie A.
It’s a similar story with the Bosnia national team, where their hero holds both their top goalscoring and appearance records, with 55 goals in 99 games. His ten goals in 2014 World Cup qualifying almost single-handedly helped the nation to their first ever International tournament, leaving it extremely difficult to imagine a player who means more to their national team than their precious captain. Regardless of transfers, teammates and accolades, there is one thing stands out; Džeko is a goalscorer. At 32 years old, it might now be time for yet another challenge in his career. He would certainly be welcomed back to English football with open arms, and it’s no surprise that both Everton and Tottenham have been persuaded to sign the forward in the current transfer window given their lack of goalscorers at this moment in time. It may cost them, but they know exactly what they’d be bringing in; someone who knows the league, who knows the culture and, most importantly, someone who’s an assassin in front of goal.